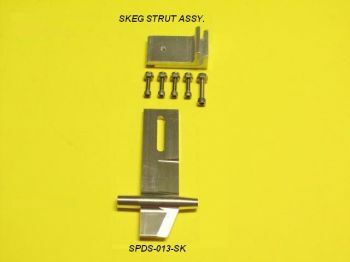 Speedmaster Large Cat Skeg Strut. These can be used on Catamarans of 40" or greater. Made with high quality aluminum, CNC cut to tight tolerances. Cross drilled brass strut bushing for .250 (1/4") prop shafts.